Professor Josephine Bunch is a Principal Scientist and Co-Director of the National Centre of Excellence in Mass Spectrometry Imaging (NiCE-MSI) at NPL and Chair of Biomolecular Mass Spectrometry at Imperial College London. At NPL, Josephine leads research and metrology in MALDI and ambient mass spectrometry imaging within NiCE-MSI. She is currently leading a Cancer Research UK Grand Challenge programme. Josephine previously led a research group in mass spectrometry imaging at the University of Birmingham, where she was a Lecturer in Chemistry and Imaging in the School of Chemistry and PSIBS Doctoral Training Centre (2009–2013). Josephine completed a PhD in mass spectrometry imaging at Sheffield Hallam University, sponsored by Pfizer Global R&D (2005). She moved to the University of Sheffield (Department of Chemistry) in 2004 for her postdoctoral appointments (2004–2009). During this time, she was awarded an independent Enterprise Fellowship to support commercialisation of mass spectrometry imaging activities. 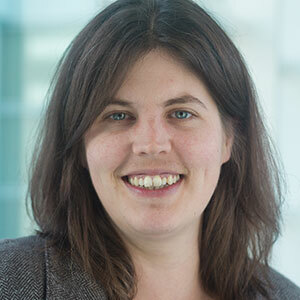 Josephine has expertise in a range of mass spectrometry imaging techniques and has published 55 articles on mass spectrometry imaging of lipids, drugs, proteins, peptides and metabolites using a range of dedicated mass spectrometry techniques. Josephine's group comprises a multidisciplinary team of physicists, chemists, computer scientists and biomedical scientists. The group host PhD students from the University of Nottingham, the University of Birmingham, Imperial College London, Oxford University and the University of Surrey. Current projects are funded by Cancer Research UK, the National Measurement System, NC3Rs, EPSRC and Innovate UK, and UK plc.